By Craig | March 21, 2019 | This post may contain affiliate links, which means we may receive a small commission, at no cost to you, if you make a purchase through a link. Read our Disclosure. Looking for tips on the best things to do in Costa Rica? 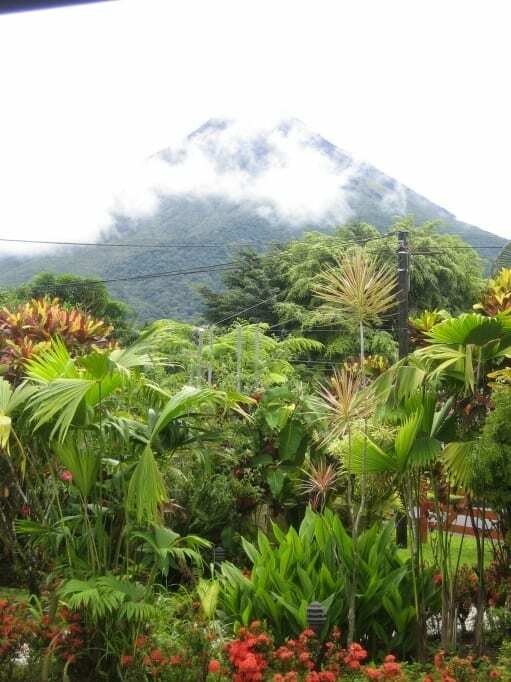 As part of our Travel Tips series we interviewed Bohemian Mom who lived in Costa Rica for 5 years and had a home base in Atenas, which is a tranquil coffee town in the mountains said to have the ‘Best Climate in the World”. 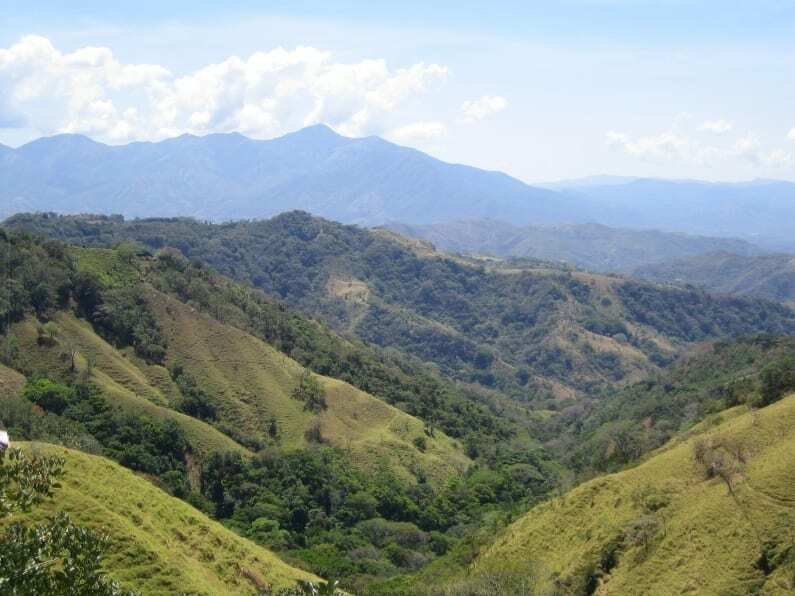 She took every opportunity from this central location to explore Costa Rica and its neighboring countries. 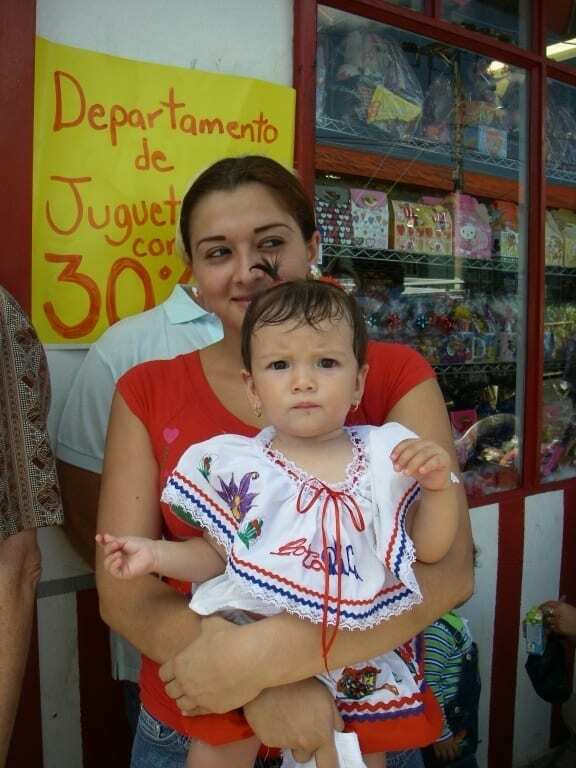 Bohemian Mom share’s with us her insider travel tips and knowledge on things to do in Costa Rica for those looking for the best places to see, eat, stay, drink, and explore. Costa Rica is one of the most beautiful and peaceful countries in the world. Few countries offer the same level of biodiversity that you will find there. Rich in nature and with two coastlines, this small country nestled between Nicaragua and Panama has something for everyone. From relaxing beaches perfect for families, zip lining in the rainforest, hiking up a volcano, to cheap dental work, there is no end to the list of possible activities in Costa Rica. Costa Rica is also a country of some of the warmest and most welcoming people I have ever encountered. They adore children and welcome them into every situation. 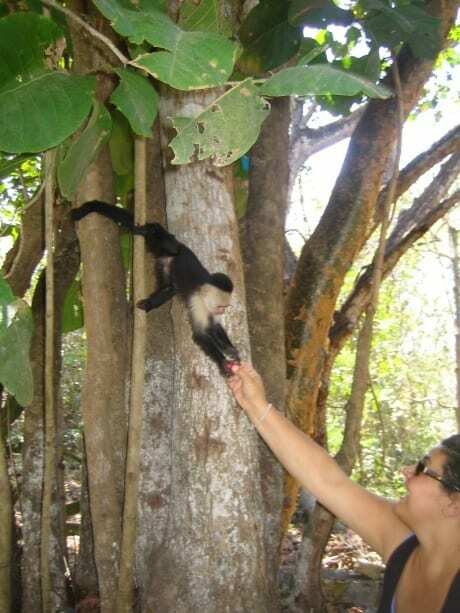 This makes Costa Rica a great destination for families as well as singles and couples. Wow this is a tough one as there are so many amazing things to do. I wrote an article on the best places to go with kids in Costa Rica, which offers ideas with kids that you may not find in every tour book. I also wrote one about the best beaches in Costa Rica, which is in actuality quite a long list. But, I think it depends on how long you are there. If you can do a month that is ideal, at least 2 weeks is best in my opinion. 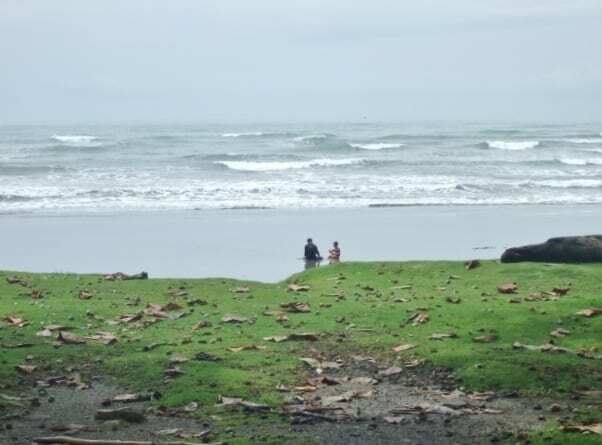 Arenal Volcano and the rain forests of Monteverde are some of my favorite spots on earth, but most people come to enjoy its beautiful beaches. Puerto Viejo, on the Caribbean coast, particularly Punta Uva beach are a definite on any trip’s itinerary. Costa Rica is not really known for its food. With that being said, five months out of the country and we find ourselves missing some of the food the most. I cannot really recommend a specific place in particular, but I can offer some tips. For a budget option, any local “soda” is a good choice. Gallo Pinto, a dish of rice and beans with seasonings, is served with most breakfasts. and casados (choice of grilled meat with rice, beans, and salad), are all great choices of typical fare. As is true with most eateries, where ever you find tables packed with locals, you can bet it is a great spot. For more upscale food or American fare, you can find many choices in the more touristy areas. There are many American chains throughout the Central Valley, but they all come with a large cost factor. You will find loads of inexpensive vegetables and fruits growing in practically every yard or at one of many fruit stands along the road. The true beauty of the Costa Rican food is the freshness! Finally, the coffee. Oh, how we miss the exquisite Costa Rican coffee. When traveling back to visit the United States, we’d bring twenty ½ kilo bags of Atenas coffee with us as gifts and to drink during our short stay in the States. At $3 for a half-a-kilo (1.1 lbs), it’s well worth grabbing a few bags to take home with you when you leave Costa Rica. But my advice is to find the more town local favorites such as La Villa in Atenas. Café Brit, while the most commercialized brand, is not as pleasing or fresh as a local town brands. Costa Ricans surely enjoy to party and every town, big and small, will offer a few options for a drink right in the town center. Imperial is the local beer and most commonly compared to a Budweiser. They are starting some small local breweries and some imports are available as well, but at a cost. Most weekends there is some type of celebration going on complete with fireworks, drinks, and loud music. 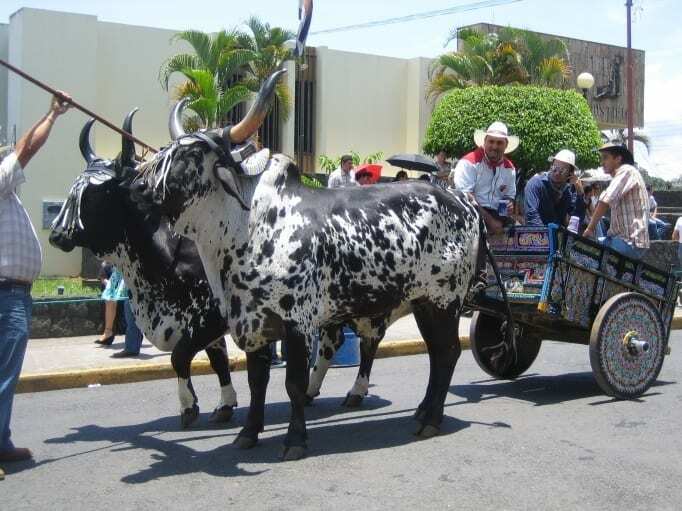 If at all possible try to get to one, it is a sight to see, whether it is a “tope” (horse parade), or the celebration of a saint, you will enjoy! There are not really any nightly shows or things to that effect to do in Costa Rica unless you are there during a performance at the new national stadium or can speak Spanish and your trip coincides with a national theatre performance. But Costa Ricans love to party and you can be assured that any town, large or small will have a fair assortment of bars and karaoke joints to suit your needs just fine. There are also modern movie theaters, art galleries, bowling alleys, miniature golf, and other entertainment choices especially in the Central Valley areas of Escazu and Santa Ana, suburbs of the capital San Jose. There are too many options to name specific hotels without a referenced area. 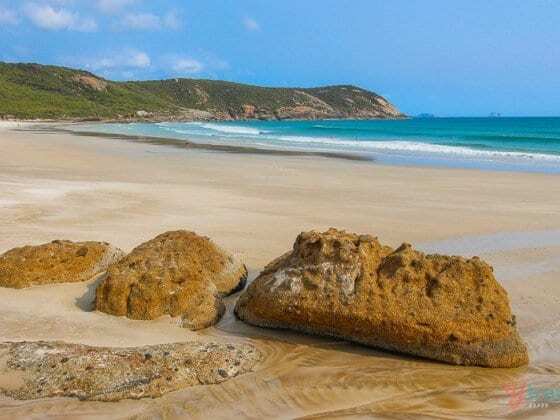 As a family, we usually chose to find a good short-to-mid term rental home via vrbo.com, but you can also enjoy many all-inclusive resorts ranging from local pricing up to the Four Seasons. You will be able to find accommodation in Costa Rica anywhere from a budget hostel, a B&B, to a 5-star hotel in nearly every desirable location. Each town in Costa Rica will have their own local farmers markets. These are most definitely worth a visit as they offer the best value and a nice introduction to the local culture, not to mention incredibly fresh and delicious fruits vegetables, cheeses, yogurts, herbs, etc. There is also a lovely walking street in the heart of San Jose, Costa Rica’s capital city, where you can find trinkets, clothing, locally made art, and bootleg DVD movies. It is located just behind the National Theatre, another great spot to see if strolling around the city. 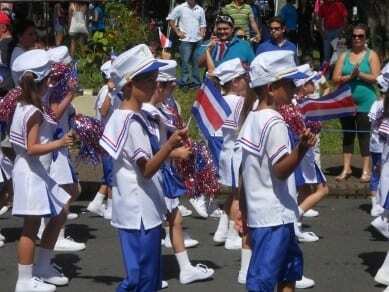 Independence day is probably the biggest holiday in Costa Rica, celebrated on September 15th. There is a night parade in each town with local children carrying “faroles” (handmade lanterns) and also a huge parade during the day. It is celebrated with much pride in nearly every town in Costa Rica. Semana Santa is the week leading up to Easter. Being a Catholic country this is also taken very seriously. It is considered the highest of the high seasons, so accommodations and food will be the most expensive. These things should be booked well in advance as hotels in Costa Rica tend to fill up quickly especially on the beach. Also of note, many things shut down during this week and on Good Friday you are not even supposed to drive a car, although many do anyway. Alcohol is also difficult to purchase on Good Friday and throughout Easter weekend. Christmas is also celebrated for the entire month of December in Costa Rica. Kids are out of school and you can enjoy fireworks on every single evening. Again this is the highest season so expect costs to reflect that. If it is at all possible to spend New Years eve on a mountain top overlooking the Central Valley, I would do it every time! It is the best show I think I have ever seen and was so sad to miss it this year. Words cannot really describe the amazing sight of countless fireworks exploding at midnight over the city and everywhere around you. So do yourself a favor and get down there for at least one New Years. Public transport is a great way to see the country. Buses are available for short and longer distances and even for travel between neighboring countries. There are no trains except a few tourist scenic types, but there is an airline, Nature Air that runs daily flights throughout the country. You can also rent a car but it is expensive and driving the windy and foggy roads can be a challenge and usually somewhat time-consuming. Each town also has multiple taxi services. Red taxis are the insured ones but are a bit more expensive. There are also smaller companies that we used for a fraction of a cost, but they offer no insurance. Orange taxis are the official transport from the airport and it is recommended that you use those for safety and best value. You could hire a taxi for a full day for around $100. Access to WIFI is readily available throughout most of the country. The more remote you go the harder that access will be to find. Particularly difficult is the Osa peninsula, a pristine beautiful spot, but if you need internet or even electricity it may be difficult. Most towns have numerous internet cafes, free access in the town parks, and many restaurants also offer it for free. Since CAFTA (Central American Free Trade Agreement) passed the availability is even better with more companies offering different plans. 3G is also available and can be purchased as you step off your plane from the ICE (the government-run telecommunications company) booth right in the airport. Bring your UNLOCKED smart phone and buy a SIM card at the airport! This one will depend on some of your needs. Most of the country experiences a dry and rainy season. Dry season is from November to April and consists of very little rain, leaving much of the countryside dry and brown, and with very warm temperatures. Rainy season goes from April to November and progressively gets rainier, climaxing in October. The benefit in the rainy season is that the travel costs are all down and the temps can be quite a bit cooler. Typically, it will rain for an hour or 2 in the late afternoon so really it doesn’t affect your day very much at all, until October that is. One of the most interesting things about Costa Rica is its microclimates though so check in more detail for your exact location(s). Even in the same town, elevation variations can make temps and rain levels quite a bit different. High season is the dry season and it’s quite beautiful, but I’m partial to the “green” (rainy) season. I recommend going anytime, save for October. There are no trains in the area, but buses (Ticabus and Nicabus) are always an option. 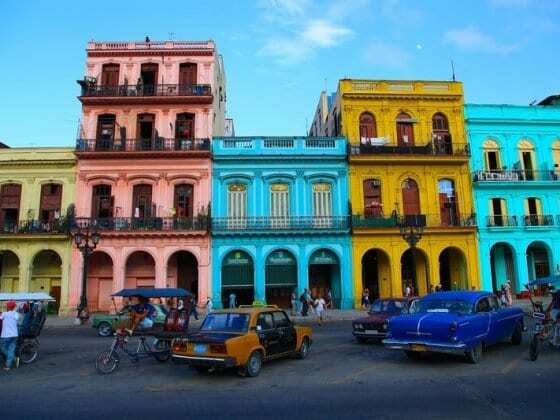 More affordable than any flights but certainly take a considerable amount of time. Flying to and from the US, we always have had great luck with Jet Blue. Spirit Airlines also offers tremendous deals to Florida and other closer locations. Within the country, Nature Air often offers deals to save on in country travel times. Driving is also an option, but it can become increasingly difficult if taking a car over any borders. The best advice I can give is to talk to the locals to get the best ideas. 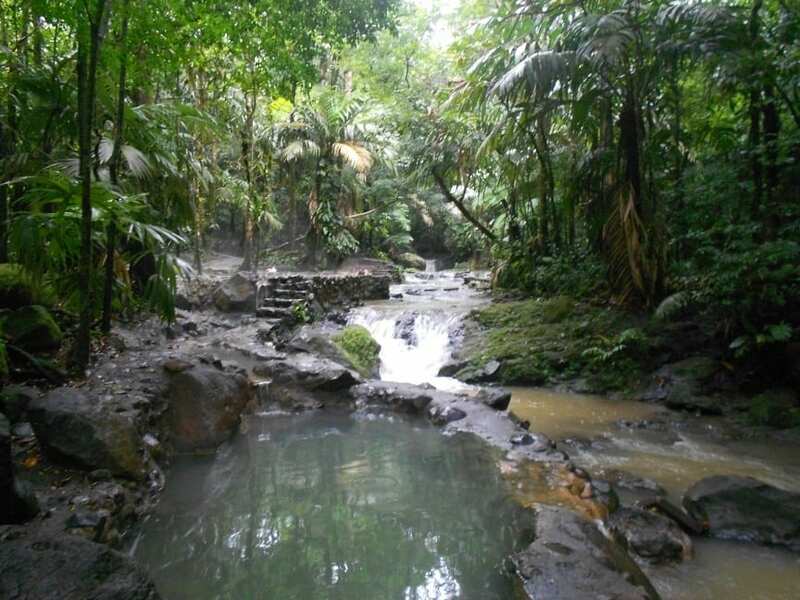 Where ever there is a tourist trap, like the Baldi hot springs in Arenal for example, there is often a more local place like Las Lagos or Eco Termales that will charge you FAR less without losing the amazing experience. It was my home for 5 years. I moved to this small country sight unseen and was welcomed by everyone I came across. I had my youngest son there and it was the best birth experience by far. 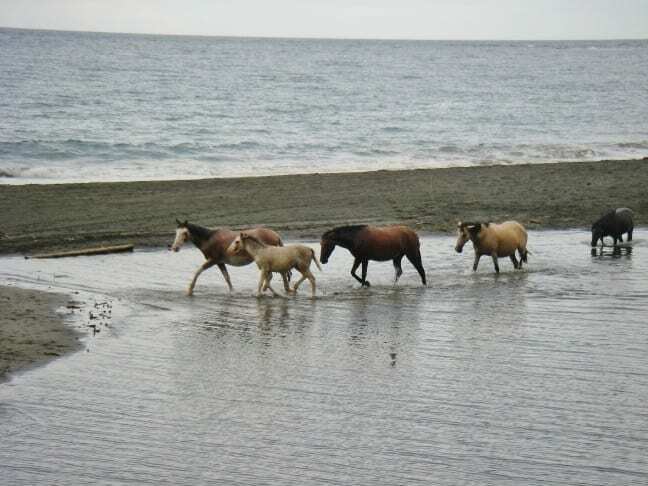 Some of our fondest moments as a family came while learning to surf together, climbing a volcano, horseback riding to hot springs, and enjoying the perfect climate that graced our small mountain town. 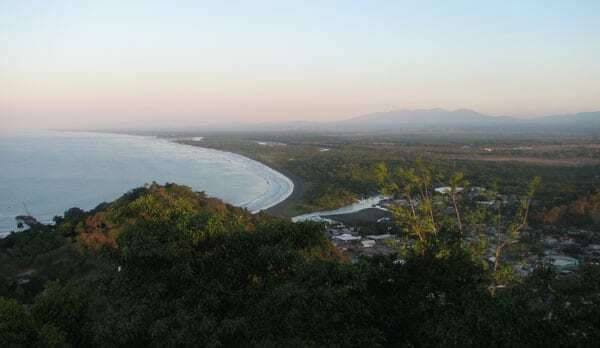 I could not have asked for a better expat experience living in Costa Rica and I will always be grateful to Costa Rica, its amazing people, and beautiful landscape. Book your accommodation in Costa Rica with our partner, Booking.com They have 150+ properties in the Northern Territory including hotels, apartments, and guesthouses. You get free cancellation on most rooms and a best price guarantee. Book your car rental in Costa Rica with our partner, RentalCars.com They are the world’s biggest car rental booking service that compares all the major brands like Hertz, Avis, Alamo, and Europcar. BIO: We are the Bohemian Family of 5 adventurers. Mom, Dad and 3 amazing boys. We started on our quest to escape the rat race five years ago in Costa Rica and haven’t stopped. Come visit us on Facebook and follow along on Twitter. Tons of great info. I’m really glad that they adore children. We plan on taking our little ones to Costa Rica soon! They really do! When you go, the little ones will help you in almost every way! Enjoy your trip! 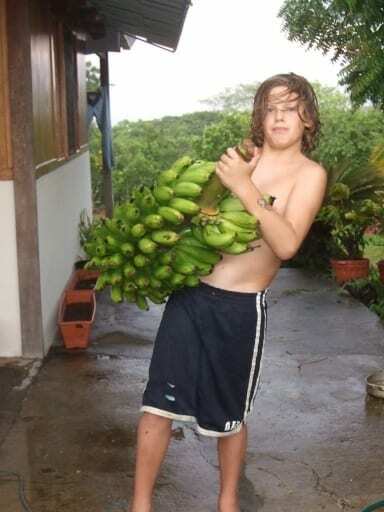 I loved the food in Costa Rica. And it’s great for outdoorsy/ adventure activity people. Wow – great photos – I love the one on NYE. Costa Rica looks amazing. 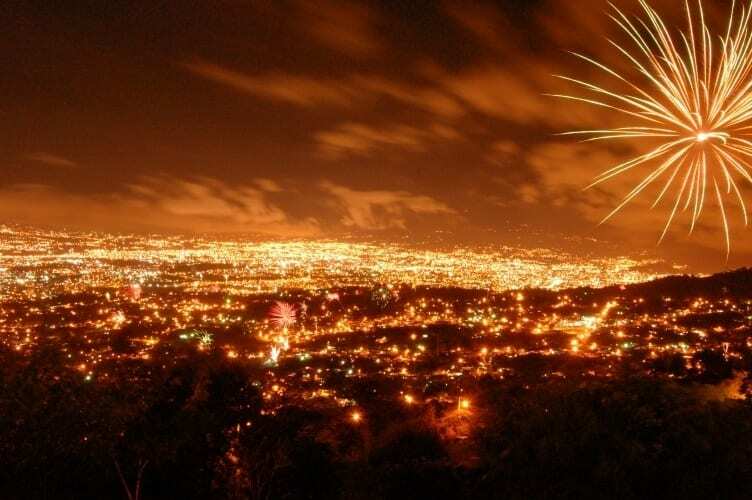 NYE on a Costa Rican hilltop is the most fabulous experience! I remember we had a lot of new people last year and when I told them how great it would be I could see they were just sort of nodding and thinking yeah, yeah, whatever! Well I watched it that night with those people who all were honestly speechless at how amazing it was. The coolest part is the fireworks go on for over an hour! Thanks C&C! Costa Rica is on my list. I’ve bookmarked your suggestions for future! Fantastic post! We spent a few months in Costa Rica, and couldn’t agree more with your recommendations. It’s obvious you know the country well. It may be my sweet tooth talking, but I’d add Trits (a delicious ice cream concoction) to the list of yummy Costa Rican foods. Hmm, not sure I tried those! Where did you find them?? Mary, we could never find Trits in the little ice cream display cases (the kinds that sell individual Popsicles). Instead, we found them in almost any supermarket (Automercado has them) in the big freezers with the larger buckets of ice cream. Trits come in a small plastic container, one per package, and they’re made by Pinos. Definitely try them next time you’re in CR! They taste a bit like a creamy, cold homemade ice cream sandwich. Costa Rica is an amazing destination, but tourists can have a wide range of different motivations, preferences and budgets. In Discovery Costa Rica we are fully aware of that, so we have put together an efficient and committed team of professional trip advisors, ready to help you find the perfect travel program that fits all your expectations. Great post! Lots of good information and I am with you 100% on the coffee. Everytime I fly home, I bring my family a whole separate suitcase just for coffee! Some delicious traditional dishes (not as well known) are olla de carne, angu, anything with yucca, arracacha, and picadillo (among many others) Their food is actually really good you just gotta look for it a bit. The picture of the NY fireworks is beautiful though! I’ll need to head into the city next year to catch that. Fantastic part of the world and there is so much to do here . The locals are so friendly and this place is so child friendly making it ideal for families also . My self and my husband would love to return here again one day as we didn’t have enough time to see everything . Great tips in this post to get our to do list together for next time ! Anyone who is using Costa Rica rental villas will be nicely surprised as they are gorgeous . 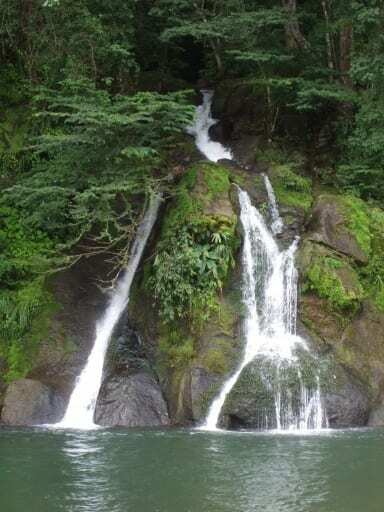 Looks like a fantastic place to visit, sadly we had to rush through Costa Rica as we had planned to spend most of our time in Nicaragua and Guatemala, but I think we will return one day as it’s easy to get to from the US! Do you mean that October is the only bad time to go visit Costa Rica? Why is that? Is is a lot of rain there then, and quite cold? Wow, this is a great article and covers an amazing amount of info. We just returned from 6 months in CR and loved every bit of it! I will bookmark this for our next big visit. This place looks like a real paradise. I’m just thinking about traveling to Costa Rica soon, I thought that a month is enough… but lately, I’m starting to think it might not be sufficient for this amazing place.